You are in: Home > Media > News > BM Automation: Successful Factory Acceptance Test for BKW Hydro Power Plant automation revamping project. BORGO CHIESE (TN). BKW Hydro S.r.l. 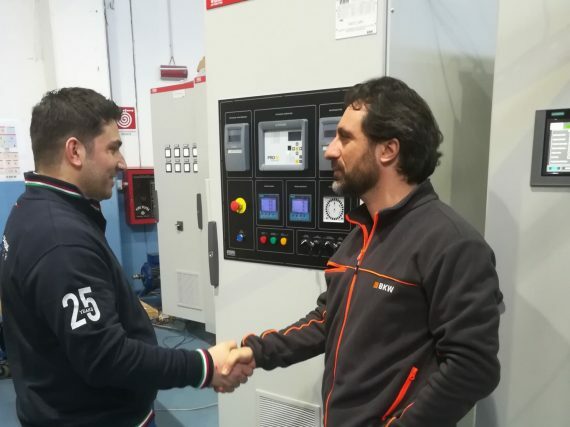 has signed the Factory Acceptance Test for the automation revamping of Paraviso Hydro Power Plant. The modernization project developed and completely followed by BM Automation team, involves all electrical equipment, PLC and HMI software and server for two group 20MW/each and will increase the power plant’s performances.